This is a paper entitled MOOC factors influencing teachers in formal education was written for the Mexican open journal: Revista Mexicana de Bachillerato a distancia. Número 13 (2015). The MOOC expert Guadalupe Vadillo asked me if I wanted to write about MOOCs and teacher development. I gladly accepted the request, because I think MOOC can be used in multiple forms, supporting teachers in all areas of formal education. Brief history and range of MOOC: from small to massive, from cMOOC to xMOOC. Increased digital skills: technological skills, digital skills, self-regulated learning. The paper takes a look at the differences between face-to-face teaching and Massive Open Online Courses (MOOC) opportunities for teachers, in order to provide insight in the necessities of teacher development. 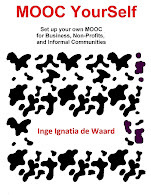 In order to do this a short overview of MOOC is provided, including pedagogical options, the necessary skills needed, and some MOOC opportunities to increase academic success for vulnerable socioeconomic students by using MOOCs. Teachers in formal education provide the learning path towards learning objectives and learning outcomes that need to be achieved. In order for teachers to deliver quality in both face-to-face and online learning environments, it is pivotal that they experience and understand MOOC options. Overall the paper suggests that teachers need to be informed about MOOC diversity to enable them to perform in the MOOC learning and teaching environment. This will allow teachers to overcome their own doubts, the complexities that come along with these new online environments, and provide them with the confidence and insights needed to use MOOC for their own teaching goals. 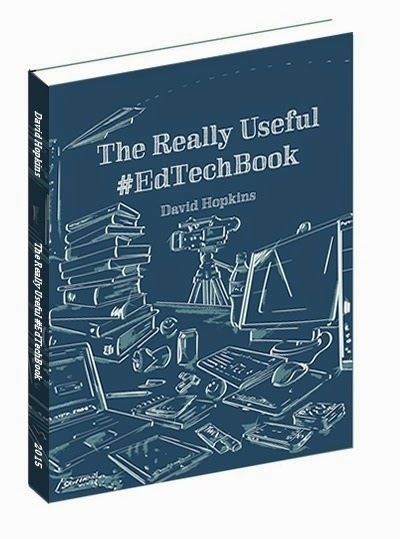 Today the Really Useful #EdTechBook was launched. This book has took only 6 months to gather 16 educational technologists, and all-round eLearning practitioners (both in online education, mobile learning, and any sub-section in technology enhanced learning). The formidable, and project superman David Hopkins pulled this astonishing work off with an energy and motivation that is purely magical (and courageous, as he needed to keep 16 volunteering writers on a very tight schedule). 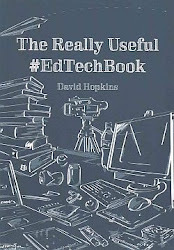 ‘The Really Useful #EdTechBook‘ is about experiences, reflections, hopes, passions, expectations, and professionalism of those working with, in, and for the use of technology in education. Not only is it an insight into how, or why, we work with these technologies, it’s about how we as learning professionals got to where we are and how we go forward with our own development. Technology has invaded our working and recreational lives to an extent that few envisaged 20 or 30 years ago. We’d be fools to avoid the developments in personal, mobile, and wearable technology. Even if we tried we’d still have to deal with other developments and distractions in classroom and learning technology like smart boards, blogs, video, games, students-led learning, virtual learning environments, social media, etc. More than this, however, is how the advances in technology, the economic and physical miniaturisation of computing devices, have impacted education: the students, the teachers, the classrooms, the spaces, the connections, the aspirations, etc. In this book you will find chapters on the subjects mentioned above, in written in a more informal, transparent way (David gave all of us carte blanche, and emphasized the importance of the personal experience, or personal preferred viewpoints on Educational Technology. 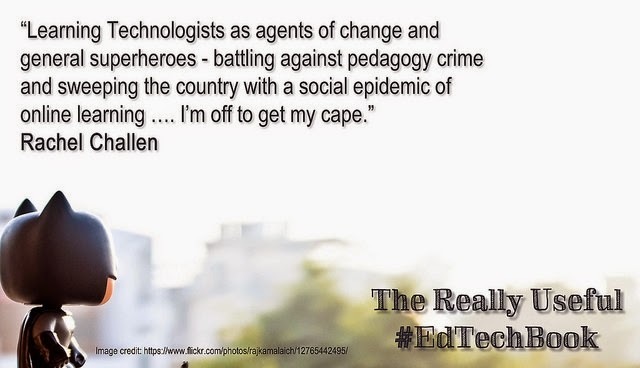 The book has got wonderfully written chapters, and to be honest I have enjoyed every chapter, for all of the chapters offered new ideas or intimate stories of what it is, and what it took to become an educational technologist. So the only indulgence I dare, is to provide a link to my chapter on 'Tech Dandy, and the Art of Leisure Learning', that I have added to my list of Academia-papers just to keep track of what I am writing. I can only assure you, that the other chapters will blow your mind in usefulness. And I am not alone in saying this, as multiple eLearning experts already gave the book good reviews prior to the launch (e.g. Steve Wheeler, Associate Professor of Learning Technology, Plymouth University, Maren Deepwell, Chief Executive, Association for Learning Technology (ALT), Chrissi Nerantzi, Principal Lecturer in Academic CPD, Manchester Metropolitan University, Helen Blunden, Activate Learning Solutions, Australia. Available: Paper and eBook editions are available from the following online stores. (Note: Tax will be applied to the eBook by the online store, based on your location). Join our Google+ community for information on the book, the chapter authors, the launch details, the world of learning and educational technology, Or have a look at the geographic interest in the book on this map here. In preparation of a workshop that I will give this afternoon at the Guldensporencollege in Kortrijk, Belgium., a k12 school. 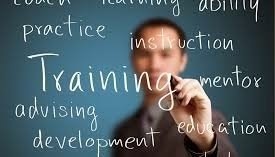 In this overview, I have put what I consider to be the benefits and realities of MOOC for teachers and students. I will give the presentation in Dutch, so I prepared two slide decks, which I gladly share. Below the English version, and further down the Dutch version. The opportunities of MOOCs for k12 learners (e.g. the guidance teachers can give in terms of critical thinking, or assessing content and topics; but also offering extra interactions and learning materials to very bright learners, as well as learners that are equally bright, but have a specific learning challenge. And at the end there is an overview of how MOOC already start to indirectly influence our teacher profile, skills, and more particularly our job descriptions. Up until six years ago, the ideal eLearning group would be around 25 learners. This enabled community building, spaced and easily to follow interactions, getting feedback from the online tutor/facilitator, and timely graded assignments. As soon as the (x)MOOC were coming, the sheer size of online learner groups forced online tutors and Technology Enhanced Learning (TEL) developers to rethink assessments. In all fairness, assessments come from (or in some cases are relics from) the industrial age. As the industrial age demanded that learners would grasp specific production oriented processes or specific information that would be used to build upon. But now, with knowledge shifts happening all over the professional spectrum, new TEL-solutions seem to be needed. This post is one in a set of posts that I am planning on TELearning solutions that affect all of us in face-to-face, blended, or/and online education. Mostly for reflective purposes, but also to see where 'our' status as online teacher (or learner) might be going. One of the current solutions are the robo-readers. 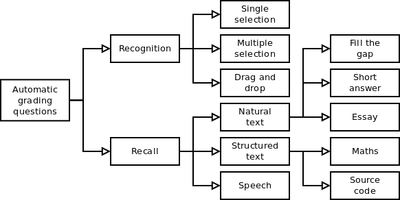 robo-readers are algorithms that enable automated grading of assessments and/or assignments. The learner posts an assignment, and an algorithm looks at the assignment and sends a grade with additional feedback to the learner. It has the potential for big returns, big money. This means huge MOOC platforms are investing in these types of solutions like the robo-readers. There are of course multiple robo-grade options, as assignments or assessments have multiple layers of complexity. The picture in this blogpost is taken from the overall page on automated grading from the Technical University of Darmstadt, Germany. One of my fellow students is Duygu Simsek, who is investigating "to what degree can computational text analysis and visual analytics be used to support the academic writing of students in higher education?". And she is also quite impressed by the increased capacity of these types of algorithms. She got me thinking about robo-readers. At first I was enchanted, but than it became to dawn on me, that teachers are in the next wave of professionals threatened by automation. Which makes me wonder, can teachers be replaced. Well, some teacher activity can be automated, if the results are qualitatively high. In 2012 a study by the University of Akron, looking at the learner preparedness for robo-readers (using 22.000 short essays) concluded that learners rather have their assignments screened by robo-readers, as a means to improve their final assignments. And looking at the history of such research, it is becoming clear that the results from the robo-readers compared to teacher grading are getting better, luckily not perfect ... yet. But, like with many other studies it was scrutinized and a critique was written based on some questionmarks that could be made when investigating the data of the Akron study. Piotr Mitros, chief scientist for EdX is a believer, and why would not he? As he has successfully pioneered in various technologies, many of which optimize the learning process. And as it goes, a movement on keeping high-stake grading into human hands was organized (with accompanying online signature gathering, called Professionals against machine scoring of student essays in high-stakes assessment), with Les Perelman as its biggest driver. One of the biggest challenges seems to be the standardization of language use in assignments. Indeed, if an algorithm is set up, it complies with certain boundaries. This means that 'only' one specified set (however diverse) will lead to a good feedback. Dave Perrin talks about this challenge in a clear way in a 2013 paper, and he adds his perspective (20 years of a writing teacher) on robo-grading. And indeed I agree with him that guidance, individualised support in becoming more able as a learner is one of the many teacher strengths that are not captured in an algorithm. For there is a risk that comes with robo-grading that is not even related to the actual software, but to the expectations as perceived by a teacher. (parallel with SAT scores, and how teachers - based on the books provided by large educational publishing companies - pushes those teachers to drill students to use certain, specific answers to questions, that are not always the only correct answers that can be given). There is a great paper on this perversion written by Meredith Broussard (2014) which clearly describes the perversity of standardised testing, educational books, and teacher options. At present I am not sure whether I like the rise of the robo-reader. But whether I like it or not, it is still coming. So what is the benefit for the learner (still the main goal of any teacher)? Looking at the responses from a joint study performed in 2010 by Khaled El Ebyary and Scott Windeatt, showed remarkable similarities with learners and their view on plagiarism tools: learners like the fact that they can get some basic feedback on their assignments from computers, without loosing face in front of (or in the minds of) a teacher. At this point in time I do not have a conclusion on what I think about robo-grading. There is big money in such solutions, as it will cut down on teacher costs (time effort, human capacity). Do I like this? Not as long as our educational and professional system is not turned around, and shifts from professional morals, towards personally, meaningful goals in life. It is my belief that as long as education is fixed on jobs, and society only adds a stamp of 'good citizen' to those having a job, any movement towards job loss (e.g. through automation), will result in an unbalanced society where most citizens no longer have a feeling of being needed, of having worth. The Open Educational Resources Research Hub (OER Research Hub) provides a focus for research, designed to give answers to the overall question ‘What is the impact of OER on learning and teaching practices?’ and identify the particular influence of openness. 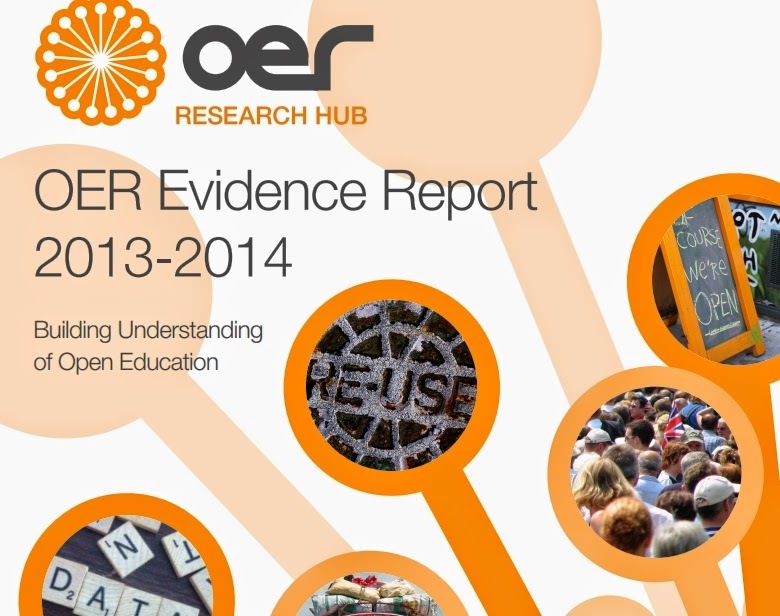 The OER hub just released a free evidence report focusing on key factors related to Open Educational Resources. There are multiple hypothesis on OER tested in this report, and with clearly described outcomes and conclusions. Anyone working with eLearning or online resources will be interested to know what works and what does not, as OER are one of the cornerstones when eLearning marched forward. Especially in the developing regions (cutting costs, content for everyone...). In the report the following topics were investigated and described (all put forward with their respective OER hypothesis): performance, openness, access, retention, reflection, finance, indicators, support, transition, policy, and assessment. The results come from an intense collaboration with projects across four education sectors (K12, college, higher education and informal) extending a network of research with shared methods and shared results. In conclusion: The OER Research Hub has found good evidence across each of the eleven hypotheses set out at the inception of the project in 2012. There are varying amounts of evidence identified with each of the hypotheses, and varying degrees of support. What is perhaps most significant is the overall weight of evidence. This represents one of the most complete pictures of the impact of OER in its current state. There is still much more work to be done, however. Acquiring comparative data which will illustrate that the implementation of OER has an impact on performance requires longitudinal studies and establishing excellent relationships of trust as this data is sensitive. In addition, the picture for some hypotheses will remain incomplete unless institutions can be encouraged to share information about the impact OER is having on financial performance and student grades. #PhD #studentships in International Education, #TELearning, a.o. The Centre for Research in Education and Educational Technology (CREET), department of The Open University based in Milton Keynes, United Kingdom has just sent out details for PhD Studentships in Applied Linguistics, Childhood Studies, Education (including International Education), Languages, Technology Enhanced Learning and Literacies. As I got a full-time studentship at The Open University, I can assure you that these PhD studentships are worth looking at if you consider to enhance your career. 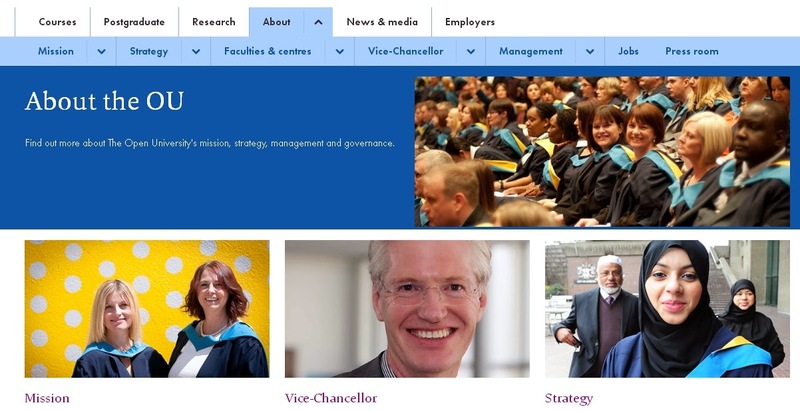 Especially as The Open University is one of the UK’s leading Research Institutions. In the 2014 REF 72% of its research was rated as “world leading” or “internationally excellent”. If you have a research interest, or just are curious in: mobile learning, international education, technology enhanced learning, mooc, online learning, elearning... than take this chance to apply. It is worth it. The studentships support the full research learning process (seminars, methodologies, knowledge sharing, workshops, speaking opportunities...), some of which I shared in previous posts here (on my research instruments) and here (on the phd awakening) and also including a reference to the probation report = a report you need to write approximately 10 months after being accepted as a PhD student (it is a UK criteria). Funding is available for UK, EU and International students. Full funding for PhD studentships will include fees and maintenance (£13863 in 2014/15) for three years, depending on satisfactory progress. Closing date: 9 March 2015. Interviews will commence in April/May 2015. For detailed information and how to apply for the studentships go to www3.open.ac.uk/employment, call Anne Foward, Student Coordinator, on 01908 655364 or e-mail CREET-student-enquiries@open.ac.uk. We promote diversity in employment and welcome applications from all sections of the community (the fact they took me as a PhD student confirms their diversity policy). The Centre for Research in Education and Educational Technology, at the Open University has an international reputation for the quality of its research. Providing research students with a supportive environment and excellent research facilities ensures a future supply of first class researchers. CREET offers you a unique opportunity to study for a PhD in Applied Linguistics, Childhood Studies, Education (including International Education), Language and Literacy Studies, Technology Enhanced Learning with guidance from world-class experts in the field. If you feel that the challenge of research in these exciting and interesting areas is for you and you have the drive and intellectual curiosity to pursue postgraduate research, then we look forward to hearing from you! We welcome proposals for interdisciplinary research in these areas. CREET is offering a limited number of fully funded and partially funded full-time studentships for a 1 + 3 programme (MRes and PhD). Half-funded studentships are also available for applicants who have already secured an external sponsor and you should indicate this in your application when you apply. Applicants who are able to fully fund themselves are very welcome to apply to CREET. You should have, or expect, a 2.1 or above in an undergraduate degree or a Masters degree in education, language studies, psychology, computer science or another appropriate discipline. There is currently a vibrant international community of students studying our MRes and PhD programmes. The Open University provides excellent support for students and offers a full range of training in computer, library and presentation skills. The studentships are full time at the Milton Keynes campus and students are normally expected to live within commuting distance of Milton Keynes. #Googleglass out, other smart tech in? Where is #educational bonus? The wearable technologies are booming business, but a lot of it is still very expensive. And with Google just releasing today that Google glasses will be reinvented, if not stopped, it got me thinking about cost and educational options. Just think about all the developers that bought the Google glasses (1500$) and now get the news that the project is being reinvented. Or about those schools that purchased one set allowing students to research its functionality? Certainly when looking at smart glasses, there is a lot of expensive material (coming) out. As multiple options are being launched (or are on the verge of being launched) I do wonder what to go for, budget wise. For if the half-life of tech is only about a year... it might not be wise to invest in it? Time or budget wise. Cheap virtual reality and smart glass solutions are increasingly being rolled out, but as with all technology: multiple companies are trying to corner the market, but in the end only a few will keep on standing (and it seems tech launches and halts happen quicker than ever). A couple of nifty options: the 'classic' Google glasses which is now being rethought, the more advanced Meta space glasses, the more stylish looking (yet with wire hanging from ear) Antheer lab option, of course for gamers the Oculus rift or the about to be released Sony's Morpheus, and for the more cognitive oriented among us the EmotiveInsight headset which is said to be available in April 2015 and which monitors brain activity. But it does cost a lot of money (ranging from cheapest 350 $ to 1500$).The latest from Microsoft is Microsoft's Hololens which merges virtual and IRL nicely together. On the one hand it is clear that smart-everything is the way forward, but the cost of each item makes it tricky to test all of them in order to find its educational value. Using such tech in classrooms or global courses is at the moment cheer impossible, unless... you choose for the cheaper option: e.g. 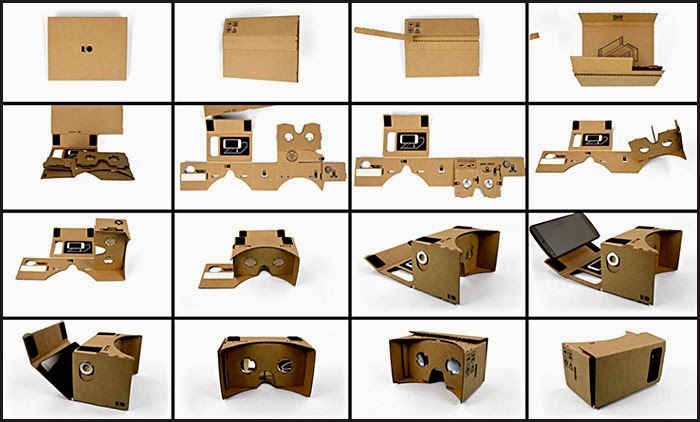 Google cardboard. This virtual reality app/option allows everyone to either build a Google cardboard from the Google cardboard kit which turns a mobile into a virtual machine, or to buy a cheap cardboard box to be used with a smartphone (and apps which you can search for depending your mobile operating system: e.g. android - Google play, but also to be said working with iPhone ). What is interesting when looking at all these smart technologies, is all of them rely on crowd-development to provide more meaningful features or applications for their hardware solution. That of course does have a very interesting educational bonus, as it is clear that this supports peer knowledge creation based on a API's or other boundaries provided by a couple of experts. An interesting shift that has been increasingly growing the last couple of years. The same is possible for the cheaper options as well, as such it makes these options (like Google cardboard) a nice jumping board for young developers with a knack for programming or creative solutions. Looking at some options that are out there for Google cardboard (some of which are also available on the more expensive gears, like oculus rift): Tuscany house: a nice application that shows the opportunities for design and architectural simulations that can be made in class. A more old school tech option: hang gliding and flight sim(ulation) app: decades ago, I was using flight simulator to get a feeling of what it took to fly a plane. It was (and is) fun, and it is instructional as simulations allow a more authentic preparation for the actual IRL action. Or more subject matter related options: e.g. moon, which takes you to a virtual moon surface. All of the apps can offer educational value, but I keep wondering what the extra bonus would be. What can it teach us that we were not able to be taught in the past. What does it allow me to do, that really lifts learning to the next level? All in all, I see the smartglasses as performance enhancers, more than re-imagining education. The simulations bring real life, authentic learning closer to home; designs can be viewed in 3 dimensions, ... but it seems they all keep within learning/teaching that already existed. Just wondering what it could be, what I am missing. This post builds upon the idea that education must be rethought, but not in terms of the disrupted higher education (higher ed under pressure with online learning – MOOCs etc, global educational market stressing smaller universities and colleges), but in terms of reshaping all of our identities and self-esteems for each one of us. This post is a synopsis of an upcoming position paper on the subject (paper is more elaborate). Future and current education should provide a valued identity – person-centered, social-centered. The real challenge of education, and where I think it should be rethought comes from the idea that the first priority of education should no longer be focused on finding a job, but on creating a meaningful identity for people no matter which job (or no job) they have. Only by shifting towards a different educational goal, can education support our future, global society. Jobs are increasingly being automated, at the same time more workers than ever before take to the job market (globalisation, delocalisation). No matter how we redesign education, it will no longer be able to get everyone a job. So all the talk on improving education to better fit the job needs of companies is just humbug. The jobs shift to other parts of the world, there is more automation and new technologies that trim down job needs (e.g. 3D printing: just print your furniture or material, you do not have to ask a carpenter nor go to IKEA or any other store – bye bye stores and employees; another example is a teacher: assessments are automated, self-learning is promoted… less teachers will do). A UK report looking at the job future from a month ago underpins this statement in pointing towards job loss by 2030. So creating jobs for everyone in the future is a big impossibility, an idea from the past that lives on in the minds of many but is no longer – even today - reality. This however means that each of our ‘having work is good’ identities are under stress. Having a job should no longer be at the core of our self-esteem, our meaning of life. If we want people to feel valued and meaningful, education must be reshaped to support and create purposeful identities build on creativity and ‘keeping yourself busy is ok’. And I think online learning will be able to create and disseminate these new identities, and support a framework of new societal laws that can provide us with an identity. In fact, I can see how new identities are provided and taken up through online resources. Yet the current new identities are not always supportive for a global, equal, open society. I also thoroughly belief this shift in societal – shaped by education – identities must be built with the utmost haste. As it is clear to see that the loss of meaning felt by many human beings (in many cases teenagers and youngsters not being able to find a job, and hence at a loss with their societal identity and future prospects) is showing an urgent need for replacing job meaning with non-job-related identities. To me extreme thoughts and actions only (or for the most part) become attractive, because they provide new meaning in a society that has lost the capacity to provide meaning to everyone. Dave Cormier (learning first principle post here and response to Stephen Downes here) , Stephen Downes and Matt Crosslin have been engaging in a discussion looking at where education is heading in 2015: the disruption, the reorganisation, predictions on the verge of this new year. Their asynchronous dialogue got to me as I think we must look further than the institutional educational system. During the Industrial Age education seemed the best way forward to shape people for jobs in production. Ford paved the way, different industries followed and new types of jobs were created. As jobs and industry were growing, the hope and trust in this way of life where grew. The job growth (thanks to wars?) was booming and as a result even women started to be picked up in this work stream, or march towards universal employment. The laws of society were adapted (universal human rights), the prospects sounded wonderful and the welfare state was deemed a possibility driven by politics in combination with economic growth. The educational system was tuned to these new jobs, creating a scaffold towards these jobs. Once in a job, you might want to climb the ladder or follow a career path, but it was equally possible to simple stick to the job your whole life. As such a whole set of societal values was anchored to having a job. Having a job meant you were a ‘good father’, a keeper of the family. Later on a good job was equally useful for women. Having a job provided a stamp of societal approval: you supported your own family, you were a meaningful member of society and economy, you were paying taxes to create the welfare state. Your actions had meaning both to yourself and to others. Your life was meaningful if you had a job. You got an identity. This identity took shape as you went through all (however many or few) educational steps. But with every crisis these job related values affected those without a job as well. Those who weren’t able to find a job got stigmatised. If you were not able to get a job, you were and are not a valuable member of society. You are not a good provider, you are not a valuable citizen, in fact you are worthless. Not only that, society will even look at you as an economic and social loss, someone that can be scorned for his/her unwilling responsibility towards society. Why do I think online learning will be able to provide new, less job oriented societal meanings? If you look at cMOOC, there was always a sense of meaning for those learners having gone through those courses. Self-worth, personal growth, in some cases professional growth. In my own research the same pointers towards identity pop up in those learners engaged in big sized online courses. I have seen it happen from the first MOOC I followed, through the MOOCs I organised, and now by watching the feedback from MOOC’rs taking action in one of the major MOOC platforms. But it seems only little attention is paid to that particular identity bonus that comes along with MOOCs. It is mostly related to jobs, but not to personal satisfaction and meaning. MOOCs – at best – are learner-centered. As such personal identity is easily supported by MOOCs, as they provide a wide range of interests, and possible networks. And all of us need networks to have a sense of meaning. And more. Education should step away from its century long idea that it’s priority is to get people into jobs. It should instead start to provide a lifelong learning path towards supporting a personal identity, letting people find what makes them tick in a peaceful way, creating multiple paths of meaning in a social learning world. Well, I hope I have put my point across in some clear way, and if not tell me where I forget to add some basic arguments for this is an obvious draft. 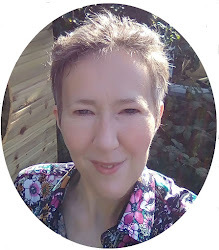 This post is one of the results of my past reflections on where I want to go with my future one’s I get my PhD, adding to the eLearning and mobile projects I have been engaged with in the past (working with budgets up to 100.00 EUR). And I came to the conclusion that I would love to set out my job along these lines. So if you know of any position that might just fit that train of thought, let me know. In the meantime, I will create an identity based on the above, hopefully giving me the meaning I need to lead a peaceful, content life until the next job comes along (money wise… yes, economy also needs to shift to enable less job based societies). Educational philosophy, here I come! 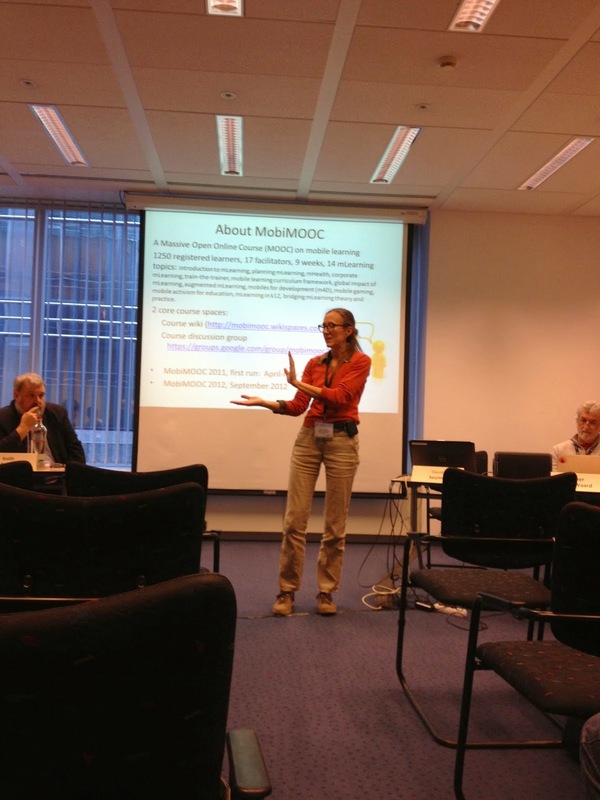 For all of you with fresh, renewed, or deepened MOOC ideas: the deadline for the third MOOC stakeholder summit in Mons, Belgium (the so called eMOOCs2015 conference) has been extended with two weeks. So get your keyboard or audio-scriber ready and put your thoughts to paper, for I would love to hear you and shake your hand on my native mother soil (Belgium, yes), before meeting around the globe again. 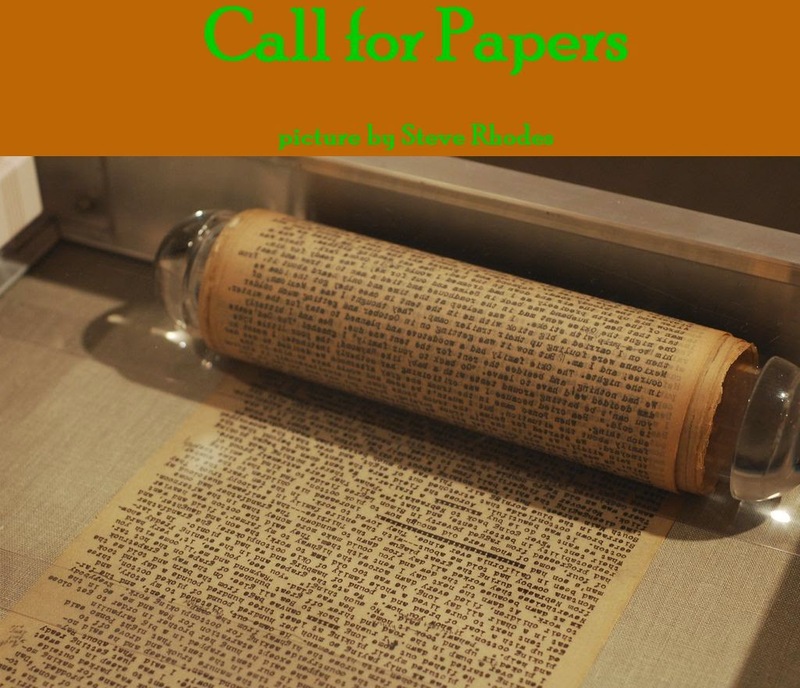 Type of submissions: papers on MOOC experiences and research papers. Range of relevant topics: social learning, networked learning, MOOC experiences in business, higher education, k12, non-profits, developing countries. MOOC best practices, opportunities and challenges, comparing options between blended, face-to-face, and MOOC... the idea is to cover the whole of MOOC experiences and spaces so we can all learn from it. Organised by the Université catholique de Louvain and P.A.U. Education, the event aims to be an opportunity to gather European actors involved in Massive Open Online Courses (MOOCs), from policy makers to practitioners to researchers. This conference is the follow-up of the EMOOCs 2014 Summit. The conference will be held in Mons, Belgium. Mons will be the European capital city of culture in 2015. “Where technology meets culture…” has been one of Mons 2015’s main investments. The conference will include four tracks: Institutions, Experience, Research, Worldwide, and for the first time a pre-conference MOOC will be organised. The conference website can be found here. What a great start of a new year, to be able to work with wonderful people and get a chapter out as well. 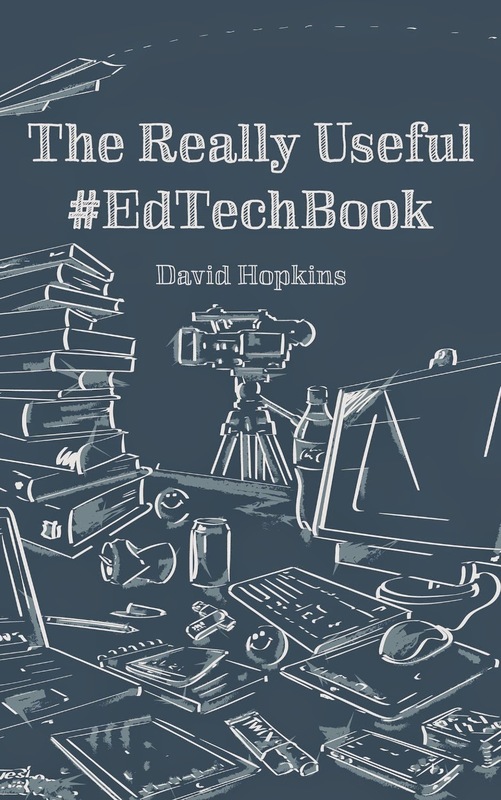 The ever working David Hopkins (I think he did not have one single day off during the past holidays), has been editing a book entitled "The Really Useful #EdTechbook" which will be on sale from 28 January 2015. The book consists of 16 chapters from different authors, all devoted to ... really useful EdTech stuff in a non-academic, simple language. And I am very grateful to David that he allowed me to be one of the co-authors as well, together with the creme of the crop of EdTech experts. Wayne Barry: “…and what do you do?”: Can we explain the unexplainable? VAT will be added on the above eBook prices based on where you are located. Available: Paper and eBook editions will be available from the following online stores. As well as buying and downloading from the above suppliers you will also be able to download a PDF version of the book directly here, once launched. We are providing this option in order to promote openness and collaborative learning practices. I hope you will join me in thanking the contributory authors and, if you like the free version, consider purchasing the book in the format of your choice. Join our Google+ community for information on the book, the chapter authors, the launch details, the world of learning and educational technology, and other aspects of The Really Useful #EdTechBook.